With the Delhi Police coming under the Centre, a section of BJP leaders are all set to push for setting up the squads for safety of women. 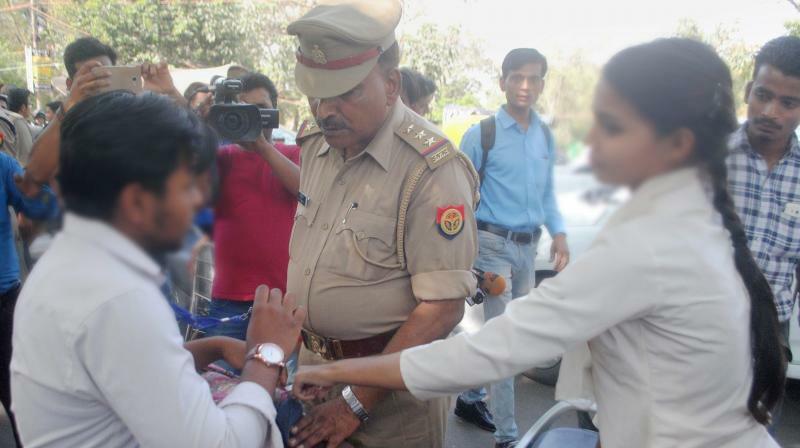 New Delhi: After Uttar Pradesh, the anti-Romeo squad could be seen on the streets of the national capital too. The BJP West Delhi Lok Sabha MP, Pravesh Verma on Saturday pushed for setting up of ‘anti-Romeo squads’. With the Delhi Police coming under the Centre, a section of BJP leaders are all set to push for setting up the squads for the safety of women. Addressing Delhi BJP’s booth level workers ‘Panch Parmeshwar’ meet at Ramlila Maidan, Mr Verma on Saturday said ‘anti-Romeo squads’ should be set up in the city too as women are harassed and teased at night. Praising Uttar Pradesh Chief Minister Yogi Adityanath for the initiative, Mr Verma, the son of former Delhi Chief Minister and Union minister late Sahib Singh Verma, said, “The Chief Minister of Uttar Pradesh Yogi Adityanath is doing exemplary work. It has been only a week and the government has sealed illegal slaughterhouses. Boys, who would harass and tease girls, are sitting at homes”. Talking about the importance of ‘anti-Romeo squads’, Mr Verma said that it has become necessary for the safety and security of women. “These boys roam around girls’ schools and colleges. BJP’s district and block level women workers should help police to identify area and road stretches where these boys roam around for deployment of ‘anti-Romeo squads’. Setting up of ‘anti-Romeo squads’ will make our daughters and sisters to venture out at night safely,” he said. Criticising the demand of Mr Verma, Aam Aadmi Party MLA Alka Lamba said, “In Uttar Pradesh, women are being shamed. Those who are holding hands in public or going out with their friends and family are being attacked by Hindu Vahini, a group run by Yogi Adityanath,” she said.